In a series of incidents reported by Unite members it has been discovered that one SAS employee had worked up to thirty-six hours and another twenty-three hours in a shift that should only last twelve hours in the area which covers Highland and Islands, and Grampian. Unite will now issue a consultative ballot on industrial action to the SAS membership to address the scandal of long hours and inadequate service provision. The dispute centres on the extreme shift overruns causing fatigue, capacity falling well short of demand and excessive vacancies causing a reliance on overtime. All these issues increase stress and fatigue to totally unacceptable levels that endanger the health, safety and wellbeing of the workforce. Unite regional officer Tommy Campbell said: “It is a national scandal that some workers in the area covered by Highland and Islands, and Grampian have worked up to thirty-six hours. “This is unfortunately not an unusual incident and there are many other examples of paramedics working dangerously long hours. Unite members in their determination to serve the public have had their goodwill and dedication exploited. Unite has previously raised concerns in relation to worker fatigue and issues around patient safety provision at NHS Highland. 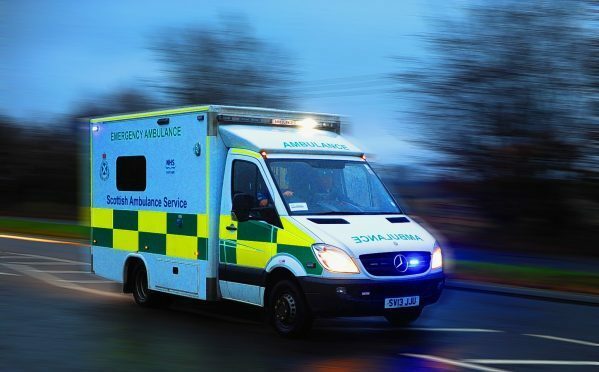 A survey in 2017 of ambulance workers carried out by Unite found that 54.3 per cent suffer from stress. A further 94.5 per cent have said morale has worsened. 91.4 per cent said that staffing levels were insufficient and 90.4 per cent said they were suffering from fatigue.